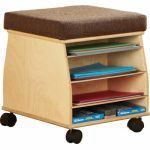 Take control of your classroom with comfort, style and functionality. 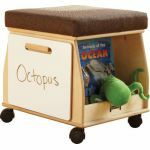 Great for literacy and circle time, the SideKick puts you, the project or books at just the right level for curious minds. The 1 1⁄2" thick high-density foam cushion provides exceptional comfort and is wrapped with extra-durable, espresso-colored fabric that meets CA-117. 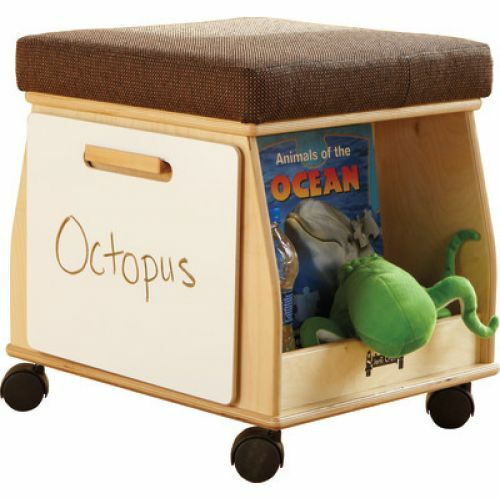 Four book slots and open storage for activities and more. Easily detachable Write-n-Wipe board accents the daily lesson. Four swivel casters provide easy mobility. Lifetime warranty. 15"W x 18 1⁄2"D x 18"H. Weight 29 lbs.